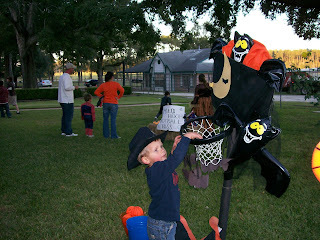 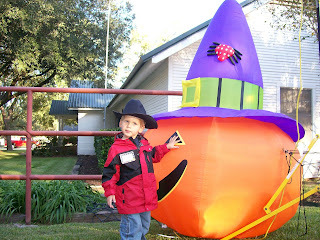 Checking out the blowup pumpkin. 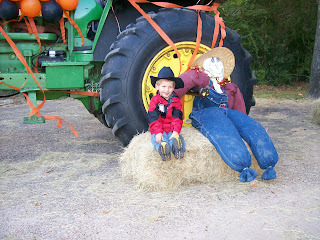 Having his picture taken with the scarecrow. 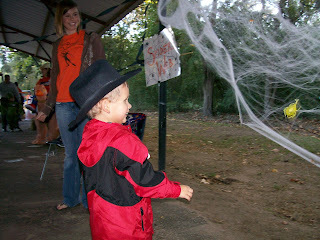 Throwing bugs into the giant spider web. 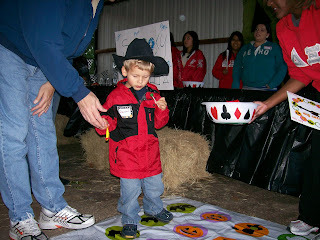 Playing the Halloween version of twister. 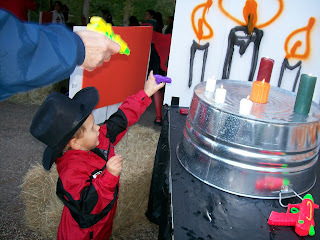 Using a water gun to put the candles out. 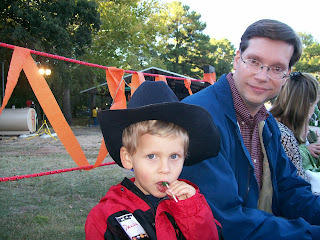 Enjoying the hayride and his sucker - the only type of candy he likes.